Don’t just shuffle round the dance floor. Come along with your chosen song and we will choreograph your special dance. It can be as fun or as serious as you like – we have done it all. Prices per couple from £32 p/h. Want to learn to dance for you BIG DAY. Here at DEESDANCING we will teach you a 3 step program for your 1st dance. 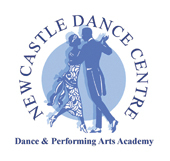 We are based in Glasgow and we have been teaching dance since 1966 and we are still a family run dance school. We will teach you to any song that you choose, also offer advise regarding the lady’s dress, music, dance floor space, mans little skirt (kilt) if he is wearing one, how to find the correct beat, but most of all to get you both dancing around the dance floor together as the happy Couple. Whether you’re a traditional or an alternative couple your first dance is an important one. With all eyes on you, it’s essential that you feel comfortable taking to the floor and whether that’s simply something more than a slow shuffle or a full on spectacle incorporating the whole bridal party you’re likely to benefit from a few lessons. Lessons can be held in the Dance HQ studio, out with our regular class timetable, or in your home at a time that suits you. Dances will be choreographed with your input, so nothing will be uncomfortable or unnatural to you, and ALL tastes can be catered for. Start your hen or stag party in style with a fantastic private dance lesson guaranteed to get everybody moving. We have a great selection of styles to choose from including Burlesque, Flashdance, Glee, Lyrical Hip Hop, Grease Lightning, Salsa, Street, Floor Fillers, 70s Disco, Charleston, Broadway Jazz, Bollywood, …the list is endless! You choose the style, theme or song to dance to and we’ll do the rest.